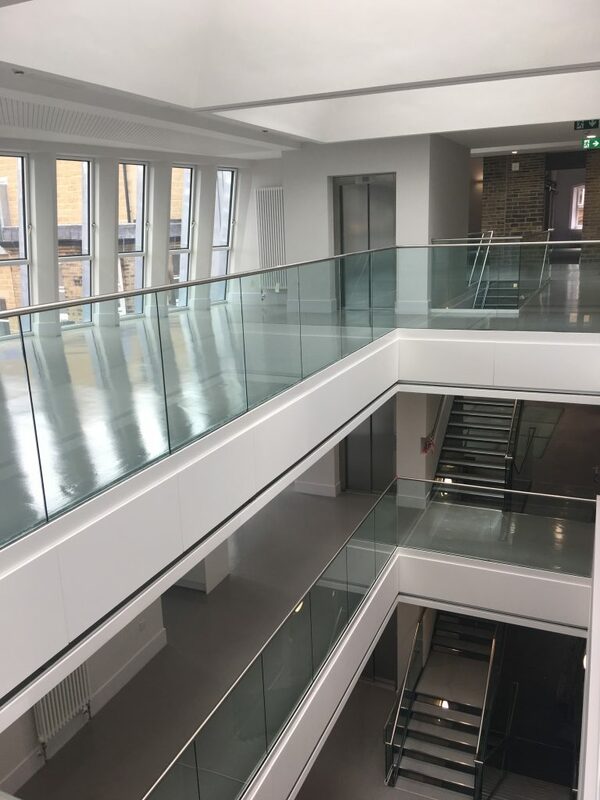 After four years and seventeen project managers our beautiful refurbishment and conversion of five Listed Buildings into offices for Calderdale Council is almost complete – well done team, especially project architect Tom Vigar. Irena participated in the round table session last Thursday with Mariana Dias Simpson from Ibase, Brazil and Emily Berwyn from Meanwhile Space, UK. She spoke on ASF UK participatory methods and how these resonate with Bauman Lyons Architects work in the UK. The session was chaired by Joana Pestana Lages frp, CIAUD, FA-ULisboa. Catch up on the conference on this link http://geuciaudfa.wixsite.com/congresso-eng and click here for the Making the Collective City Programme. We were delighted to attend the ceremony on Saturday at which the Archbishop of York Bestowed Minister status on Holy Trinity Church in Hull. This honour was in recognition of the church’s inspiring regeneration, physically and spiritually, and the exciting progress of the church’s £4.5m development project. Phase 1 of the work to reorder the public square and churchyard has been completed and we are now working on Phase 2 which includes reordering of the Nave to provide a flexible space with new underfloor heating as well as improvements to service accommodation at the east end. Further phases will provide a new café and better toilet facilities. 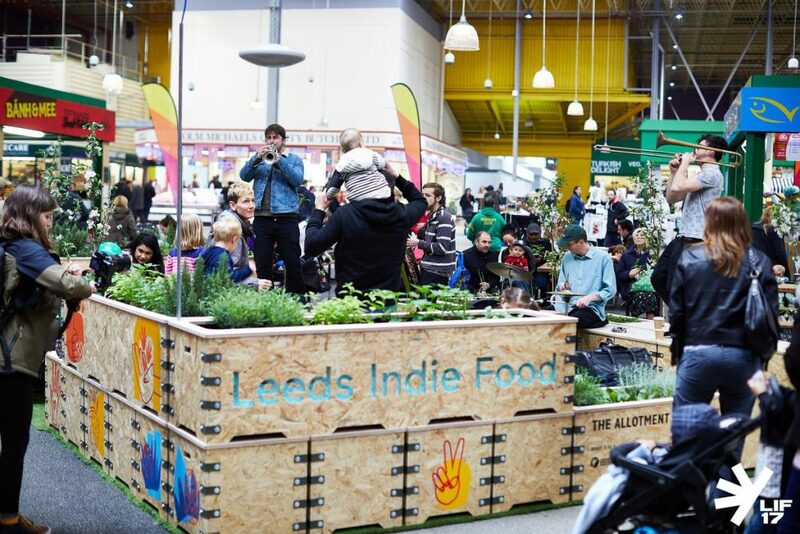 We had a great time working with Arup and Leeds-based Cafe 164 creating a pop-up allotment using our MassBespoke™ system. Bauman Lyons are currently developing MassBespoke™ as an innovative construction system bringing together emerging digital fabrication technology with parametric design. 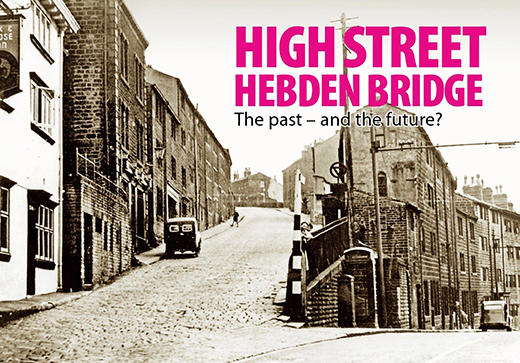 We are proud to be working with Calder Valley Community Land Trust in Hebden Bridge to design new low-energy housing for affordable rent. This location was previously home to hundreds of local workers living in dense terraces of 3 and 4 storey houses on a steeply sloping site, typical to the topography of the Calder Valley. Delighted that CVCLT would like to reinstate housing in this location, and the old High Street. Our design optimises plan depth and orientation for passive solar benefit and the landscaping strategy will alleviate flood risk. We are designing low-impact, low-energy, affordable & beautiful homes! For the first time practicing professionals are gathering to explore research embedded in their practice. We are pleased to have the opportunity to present a paper ‘The Reluctant Supply Chain’ based on the Innovate UK funded research into digitising the supply chain and the way this new knowledge is impacting on our practice. You can view the full conference schedule here and more information about the event is available on the University of Reading’s website. 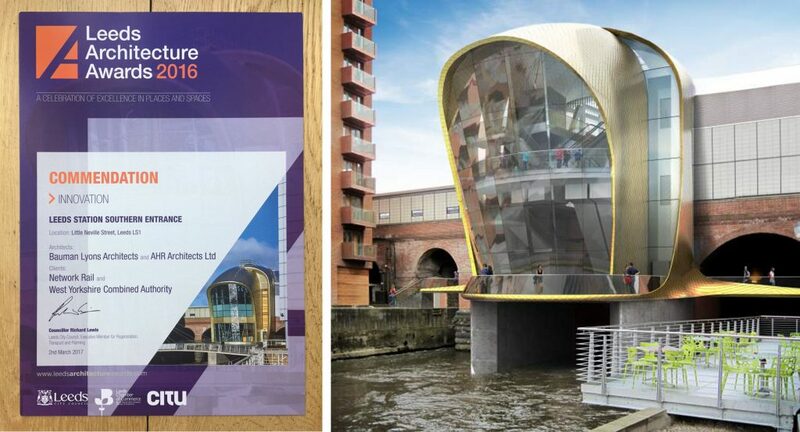 We are delighted that Leeds Station South Link received a Commendation in the Innovation category at the Leeds Architecture Awards 2016. Bauman Lyons developed the concept design up to “Network Rail GRIP Stage 4” which included the planning permission for the £16m new southern entrance. Read more about the project on our webpage and in the RIBA Journal here. 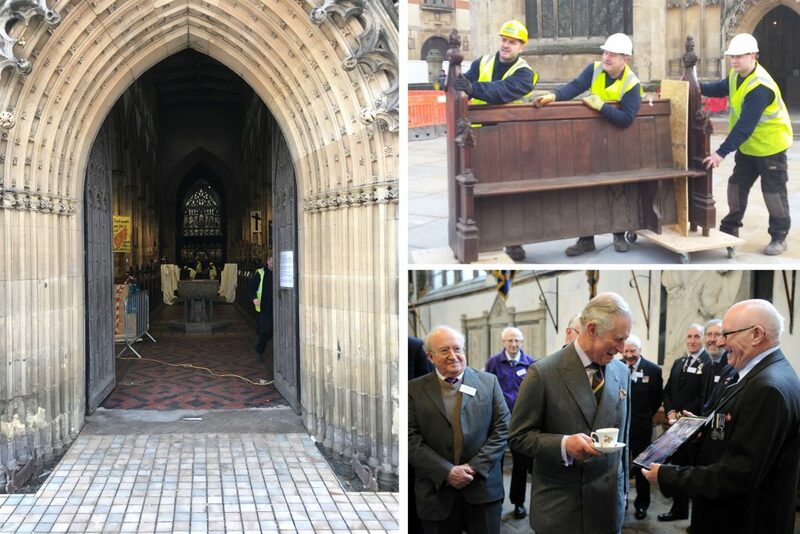 It’s been exciting times for Holy Trinity Church recently – the client team and our very own director Guy Smith were treated to a visit from the Prince of Wales and the Duchess of Cornwall. Read more about the visit which forms part of the Hull City of Culture celebrations by clicking on this link. We were afforded a lovely view down the nave from the west door – this view has not been seen for over 100 years! 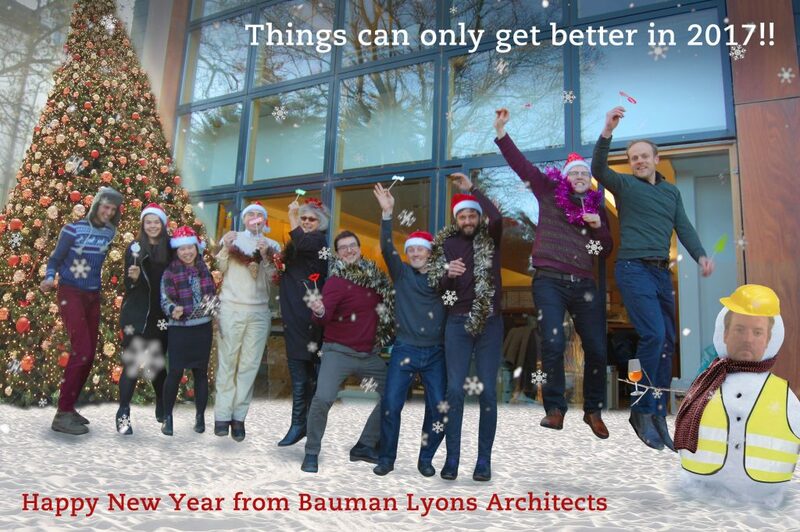 Wishing all our collaborators and clients a Happy Christmas and New Year!